That was the link on my page as of July 7, 2009, but while in the midst of posting the following question my account was Deactivated. 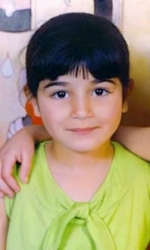 But as it happened the very day after Vanunu's restrictions were continued by Supreme Court President Dorit Beinish, on July 6, 2009 who stated that his "case is still generating great interest, like any other security-related case. The media's attention he gets is proof of that." Have you eyes to see and ears to hear Vanunu on video in 2005, 2006, 2008? 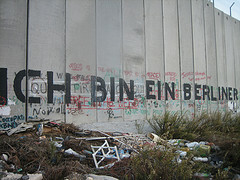 On January 25, 2006 Mordechai Vanunu was convicted by the Jerusalem Magistrates Court of 15 violations of a military order that prohibited him from talking to non-Israelis and because he supposedly attempted to "leave the state" [he has no passport] by taking a cab from Jerusalem to Bethlehem to attend Christmas Eve mass at the Church of the Nativity in 2004.
in 1986, nuclear experts hired by the London Sunday Times, interviewed Vanunu and determined that Israel had already manufactured upwards of 200 nuclear warheads by the time Vanunu last set foot in the Dimona. 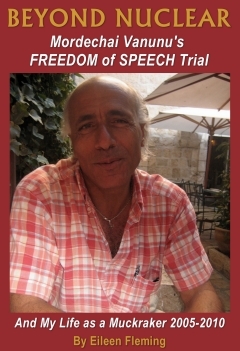 Vanunu returned to court on July 6, 2009 and "his attorney Avigdor Feldman...and the state agreed that after six months, pending a review of his conduct, Vanunu will be able to ask for the restrictions to be lifted and be allowed to travel abroad. 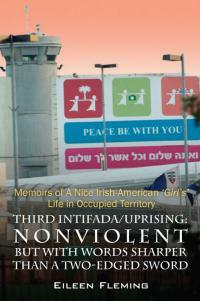 Feldman said, "Vanunu is not going to change. He will still be the man who left the reactor and transferred sensitive material over to The Sunday Times. But it is inconceivable that a man be held in Israel for his entire life because of this. The world has anyway lost interest in the subject…You can say a lot of things about Vanunu, but you cannot say he is dishonest. Until now he wouldn't commit to refrain from speaking of [Israel's nuclear program], but now he is. He wants to live, to raise a home, a family and children." However, the "Supreme Court President Dorit Beinish, did not agree with Feldman's 'lack of interest' theory, saying that "the case is still generating great interest, like any other security-related case. The media's attention he gets is proof of that." Vanunu told reporters, "All I'm interested in is freedom. Give me a passport and I can tour the world. I want to walk around the streets of New York." I phoned Vanunu that evening and expressed my disappointment for him and he replied, "You have freedom of speech and freedom of movement. Do what you want. But I am not publishing anything. Everything is already on the Internet." I met Vanunu for the first time on June 21, 2005 and have seen him on all seven of my trips to Jerusalem, but not until June 14, 2009 did he fill me in on why he has not written and published his own story. 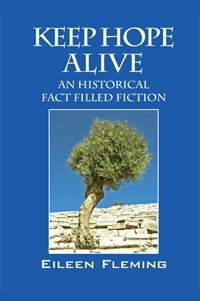 Vanunu said that he and a writer had been openly meeting in the garden of the American Colony and working on his book soon after his release from Ashkelon, but a Palestinian spy turned them both in and the authorities threatened Vanunu with more jail time if he published anything without going through Israeli censors. However, Vanunu did write that on February 22, 2006, in a Jerusalem court it was revealed that Israel had asked Microsoft to hand over all the details of his Hotmail account before a court order had even been obtained and they eluded that Vanunu was being investigated for espionage. His attorney Michael Sfard repeatedly requested Police Representative Mr. Peterburg to specifically state what type of espionage activity Vanunu was accused of. According to Vanunu, “The policeman did not have any answers and said that he brought all the evidence to the court. When Sfard asked him again about any material related to the espionage charge, Peterburg had no answers. “Sfard proved that the police had misled the judges who gave the orders to arrest me: to search my room, to go through my email, to confiscate my computers and that they misled Microsoft to believe they are helping in a case of espionage. On St. Patrick Day 2005, Vanunu spoke to the media immediately after he had been arrested for speaking with the media in 2004. "...it becomes clear what the security establishment is really afraid of. Vanunu is in a position to expose the close partnership with the United States in the development of Israel’s nuclear armaments.